Keeping a home cool during the summer months can be challenging, especially if the air and cooling system in the home does not work properly. This is one of the major reasons why homeowners should make sure that they have the best systems in place. Therefore, in order to make sure the air functions properly and circulates in the places where needed, it is essential for homeowners and their family members to find the best air conditioners in the industry. In some situations, the type of air conditioner can make a major difference if the homeowner has a need to move the unit around from one area of the home to another. Therefore, they may want to consider buying a portable air conditioner. 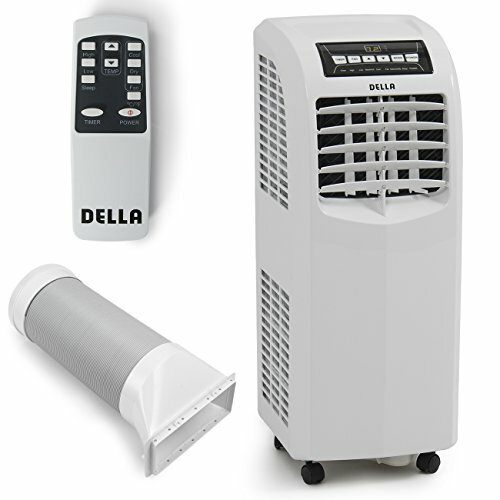 Portable air conditioners are normally preferred when a homeowner needs the added convenience of cooling a room without all of the complexity and expense of installation. 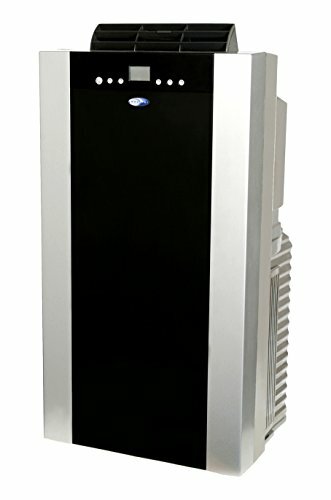 12,000 BTU portable air conditioner with no-bucket design cools areas up to 450 sq. ft.
To that end, here’s some information about the top 5 portable air conditioners, and the reasons why they are considered to be good buys for owners who want the best and most affordable units online and in retail stores today. The Whyner 14,000 BTU provides cool, clean air anywhere people need it. Manufacturers have designed this unit with a sleek, black-and-gray portable design that is effective in pulling in the warm air from the room and then converting it into fresh and cool air. Even though it is small in size, it is a powerful unit that gives the consumer an auto drain function feature for controlling the 4 operational modes and its condensation. To remove the water from the unit, it has been designed with a simple to install dual hose systems that create that ventilation that’s needed. This unit is compact so it can fit into small spaces. Also, with an eco-friendly design, people can also expect to save money. This is because this unit has been built with environmentally friendly ARC-14S that keeps energy consumption to its minimum. Flaw in the design (exit holes RIGHT NEXT TO EACH OTHER). Some have complained about the noise. 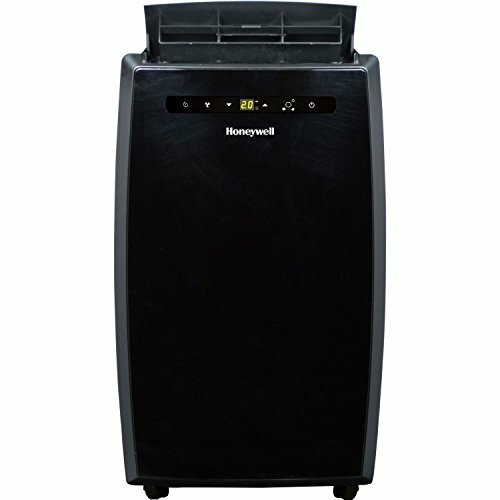 The Honeywell MN10CESWW has been designed with a sleek dehumidifying and cooling system that covers up to 350 square feet. Better known in the industry for sporting 3-in-1 technology that provides optimum cooling and dehumidification. This unit also features fan-only functionality since it provides diversity that consumers are normally looking for. Also, with a remote control function, users can operate this portable air conditioner from across the room. Dissimilar to a fixed air conditioning system, no permanent installation is required. To provide an easy to move mobile design, it has four caster wheels that make it simple for anyone to maneuver. In addition to an easy mobile air conditioning unit, it’s made with an auto-evaporation system that provides the family with hours of continuous operation without anyone having to drain the water or empty any buckets. 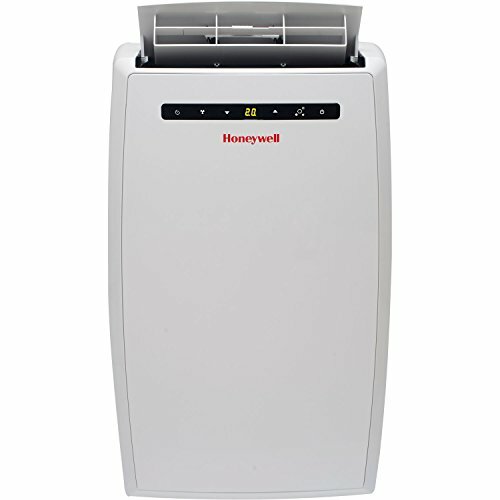 So, the Honeywell MN10CESWW model comes with everything that one would need including a window installation kit that is easy to use and a flexible exhaust. Further, when the unit’s window vent is not being used, it can be removed. Easiness of assembling so it’s up and running in approximately 10 minutes. The LG Electronics LP0814WNR 115-volt Portable Air Conditioner with Remote Control, 8000 BTU is an air conditioning unit that is built for room to room comfort. Because it has been designed with portability in mind, it can also be moved from one house to another. It has a wide diversity of features including a remote control for those who are always moving around and on the go. So, if you are looking for a unit that has a sleek contemporary design, this portable air conditioning can be just the one that you need. You can also take advantage of its free-standing feature that blends into any decor. Homeowners and renters alike will also appreciate its auto evaporation system that provides continuous use and a 24 hour programmable on/off timer. For those of you who want to move it around from one place to another, the manufacturers have added easily to roll caster wheel that’s made to move easily across most surfaces. The SPT 8,000BTU Single Hose Portable AC has been designed with a restart function that stores all of the user’s settings. The storage is essential in situations where there a power outage in the home or office. Therefore, once the power comes back on, the user does not have to enter the previous function again since it will automatically restores them. One of its best features is it has been made to consume less energy than other units in the same or similar class. This unit also comes equipped with an auto-drain system. With its design, the exhaust will automatically condensate. However, based on the setting, it may also require human intervention. To fill the portable air conditioning unit to keep the air flowing freshly and freely, homeowners and renters should use non-ozone-depleting R410A refrigerant. This type of refrigerant is required because it is made of RoHS compliant components, which means it is free of harmful chemicals. Listed below are the 4 operation modes that users can take advantage of. Automatically select COOL or FAN modes that are based on the unit’s set temperature and room temperature. Designed with wheels on the bottom so it is easy to transport. The EdgeStar Ultra Compact Portable Air Conditioner is made with an Ultra Compact Design that stands just above 2 feet high. Therefore, it has been designed to fit into virtually any space in an office or a home. This size also makes it much easier to store away quickly in the smallest places. Also, for consumers who are concerned about controlling their high energy bills, they can take advantage of the digital thermostat and the 24-hour timer that helps to save on energy costs. With this functionality, the user can set the temperature to only run when the area needs to be cooled off. It is also important to note that this unit is very versatile because it can be used in the winter and summer months. This is because it has been designed to cool off a room in the summertime or to dehumidify it as needed as well during winter months. Designers have also followed Environmentally Friendly standards like the RoHS. Based on the European Union, electronic products are currently restricted in the number of harmful toxins that can be used in its operations (i.e. lead and mercury). Even though this unit is considered to be ultra compact with 8,000 BTUs, it’s still powerful enough to cool and refresh an entire room. It comes with a 3-year limited warranty that users can take advantage of, especially if something does happen to its functions. Because this unit is proficient in energy consumption, it only uses up approximately .95 cents in energy a day. Energy Saving Programmable Features: – a 24-hour timer that controls the cooling and dehumidification of a room. Offered with an Easy-to-Use Window Kit that virtually anyone in the home can do. Designed with environmental friendliness in mind since it has a portable air conditioner unit that does not ozone-damaging R410A refrigerant. Instead, the refrigerant that is used must be free from a wide variety of harmful substances. All in one portable solution that provides the user with remote control, caster, window its and the like. With the attachments included in the air conditioning packaging, its easy to install in windows. Can create negative pressure in the home when it pulls in hot air to generate the cool air for the room that it trying to keep a certain temperature. Only cools small spaces so the BTU must be considered before making an investment. Here’s a quick video guide explaining how to install your new portable air conditioner. Feel free to leave any questions in the comments below.